Steady Rests with 4 quills are designed to hold thin walled tubes. 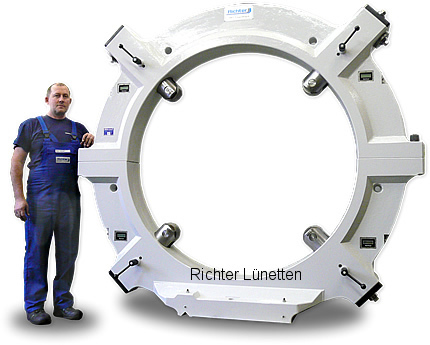 We build this steady rest type for work piece diameters up to 2000 mm. With the Patented Richter Measuring System at each quill you will reduce the set up time dramatically.